Ever pick out a fabric you think you’ll love, then pick out a pattern you’ll love and the end result is a disappointment? I love polka dots and I love the combination of navy blue and fushia, but maybe that combination is not meant to be. and the lesson here is giant polka dots are best left for clown clothes. 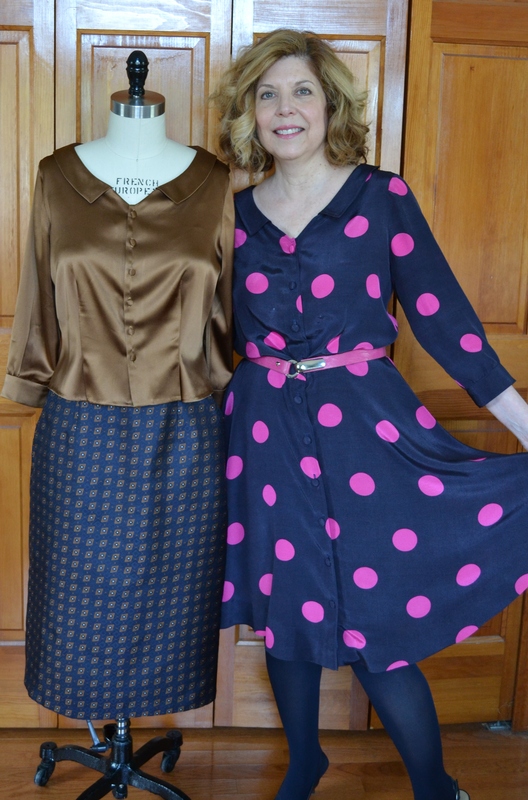 I much prefer the Hawthorne blouse I made from silk charmuse. 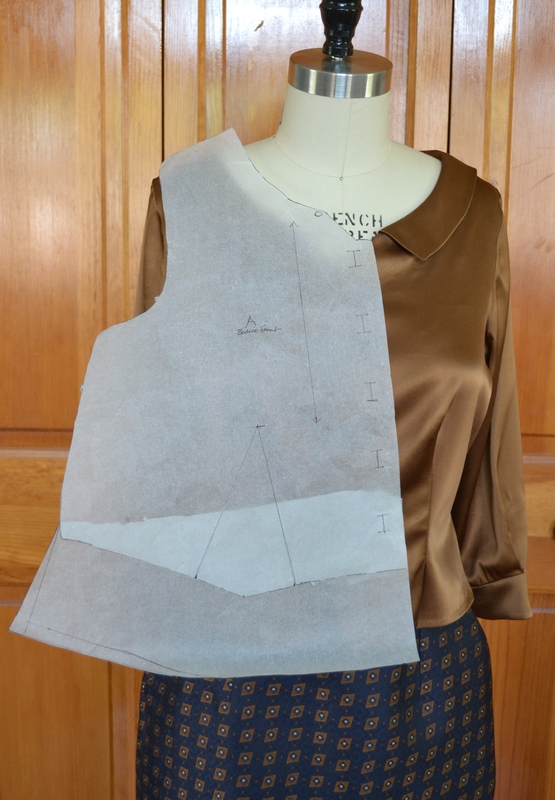 Instead of the peplum blouse option shown with the pattern, I just added length to the bodice and created pleats at the bottom of the darts. I added 4 inches, the angle at the side was determined by folding the pattern along the dart, then drawing the extension and opening the dart back up. 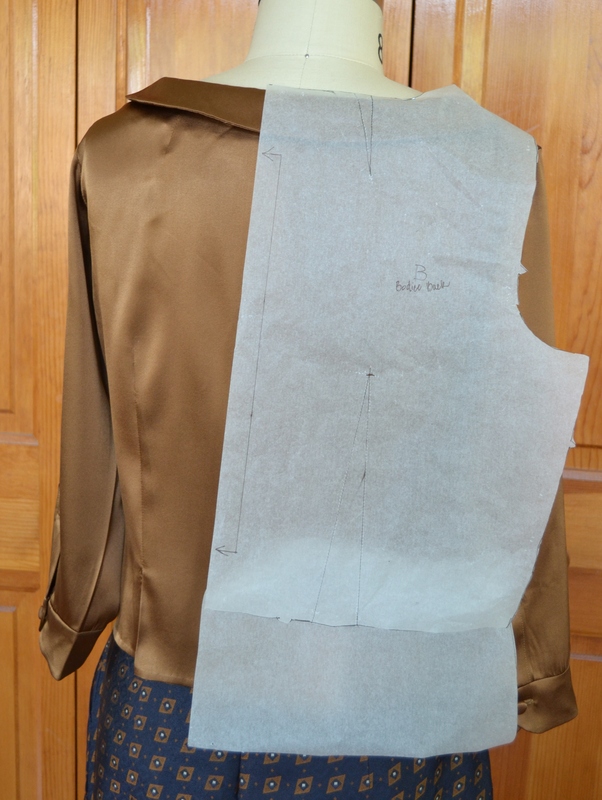 I sewed the dart along the original markings and left the bottom open as a pleat. The shine of the charmuse makes for difficult photography, the blouse looks better when seen in in real life. The clown dress may be seeing the back of the closet. I like the dress and the blouse. I think us sewists have to refrain on being our own worst critic. Your dress looks fun and inviting. It’s definitely casual. Your blouse looks nice too. 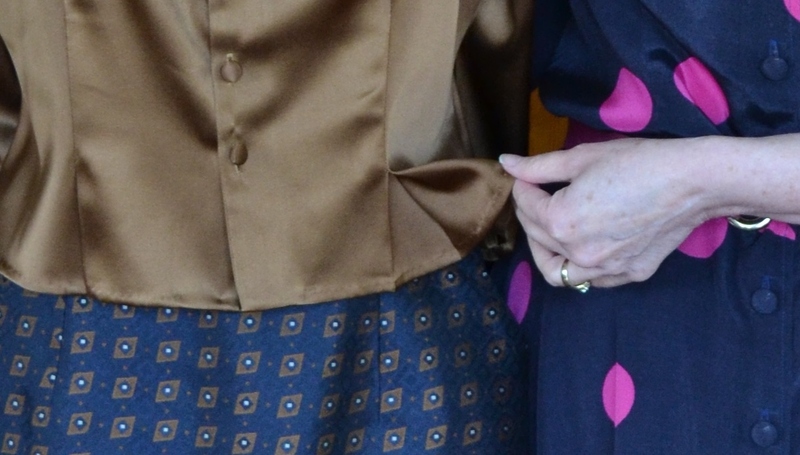 I like that understated pleats at the hem.